Jeremy from Philadelphia and Vanessa from Boston, both moved to New York at the same time. Jeremy was starting his first job out of college and Vanessa was beginning graduate school. They crossed paths on a dating website shortly after moving to New York. The wedding theme was 1920’s vintage glam inspired. The couple chose a color scheme of purple, silver and navy. 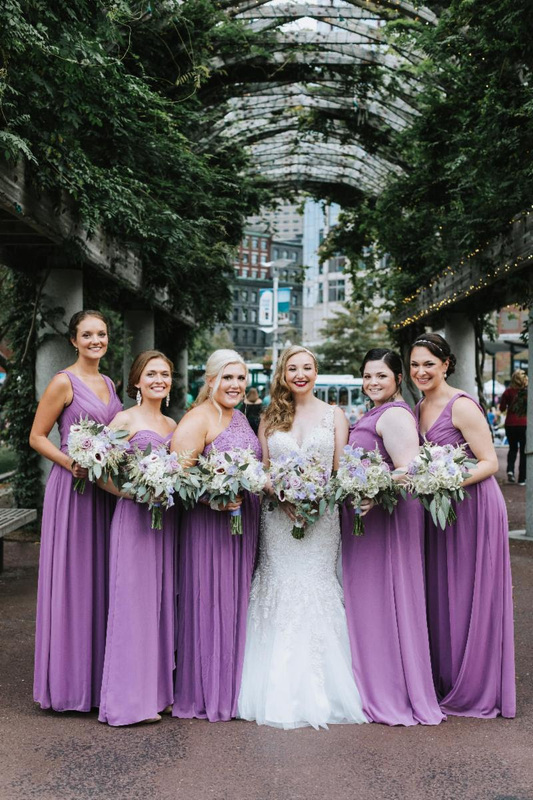 The bridesmaids all wore purple gowns in various styles, elegant earrings and carried flowers that complimented the color and theme of the wedding. One of Vanessa’s favorite touches were the unique details of the back of her 1920’s inspired dress.